Lot 156. 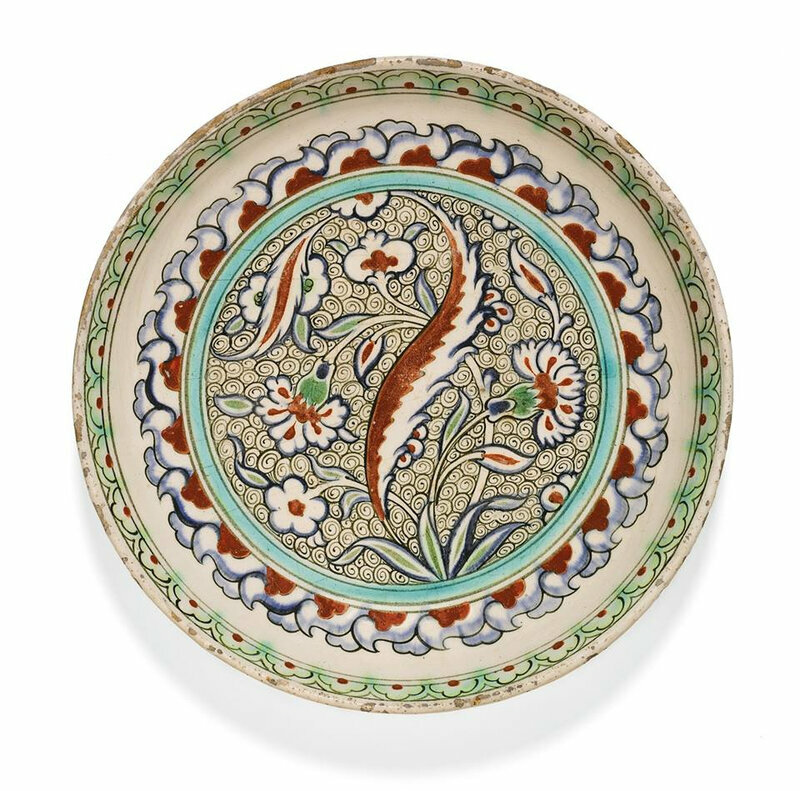 An Iznik polychrome pottery dish with a red ground, Turkey, circa 1570-75; 31.5cm. diam. Estimate 4,000 — 6,000 GBP. Lot Sold 8,125 GBP. 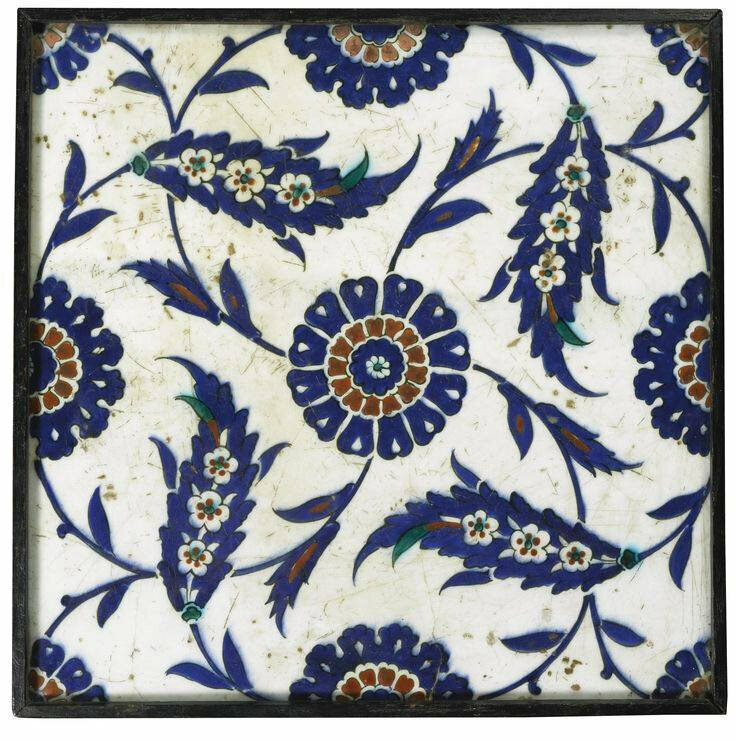 Photo: Sotheby’s 2014.
decorated in underglaze cobalt blue, emerald green, and relief red with dark green outlines, featuring a saz leaf containing a stem of marguerites, in between sprays of rosettes, the border with a stylised foliate design, foliate details on exterior, old collection label to underside. 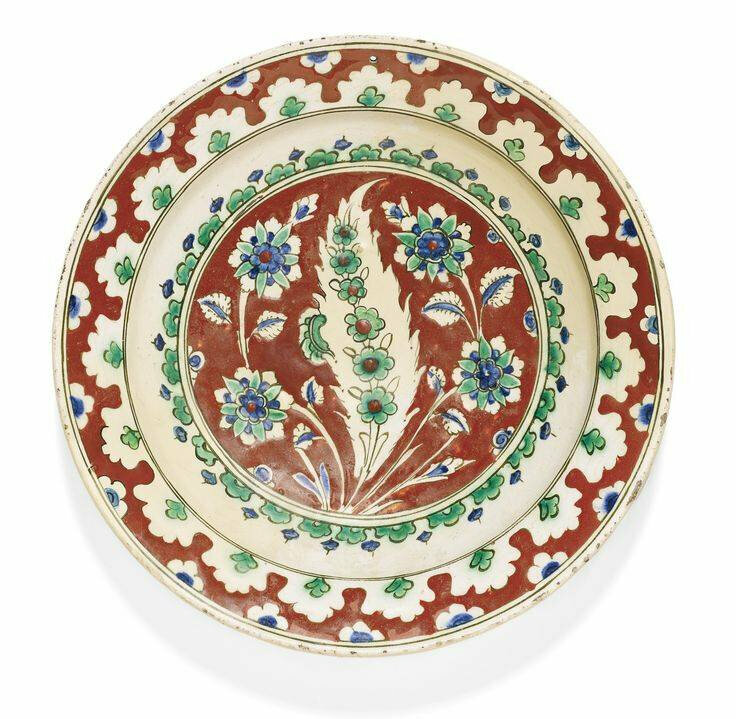 Note: Red-ground dishes such as the present example are extremely rare, and this is a particularly flamboyant and vibrant example. A dish in the Barlow Collection has white leaves on a red ground; see Fehérvári 1973, Colour plate M.